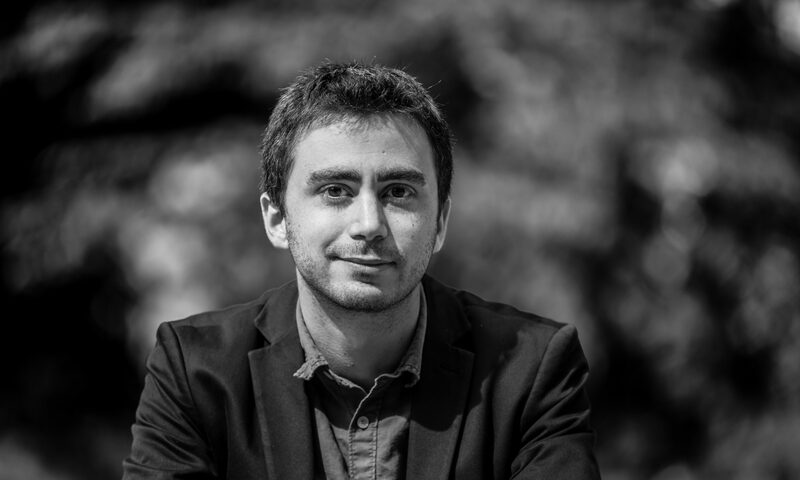 Welcome to the website of belgian pianist and composer Martin Salemi. Here you can find tour dates, pictures, videos, full discography and music. Thank you for visiting ! Martin Salemi was born in Brussels in 1988. His parents are both artists. His father, who plays the guitar, initiated him to music at a very early age. 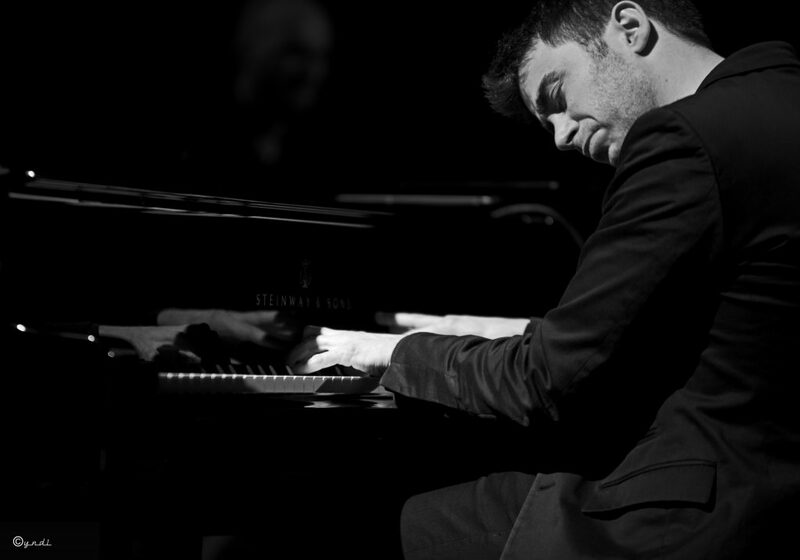 He started learning the piano aged six and, in 2013, completed his jazz piano master’s degree with distinction at the Koninklijk Conservatorium van Brussel. Martin is interested in all types of music and in various piano styles and, in addition to jazz piano, he has had the opportunity to experience classical as well as salsa, funk, pop and rock music. Very early on, in addition to his instrumental work, he developed an interest for composition. He started recording albums very young – first cassettes, then CDs – which he shared with family and friends. Martin is currently involved in two personal projects. OPMOC, who have already recorded three albums and have toured internationally several times, and the Martin Salemi Trio, who released their first album in 2017 under the Igloo Records label. 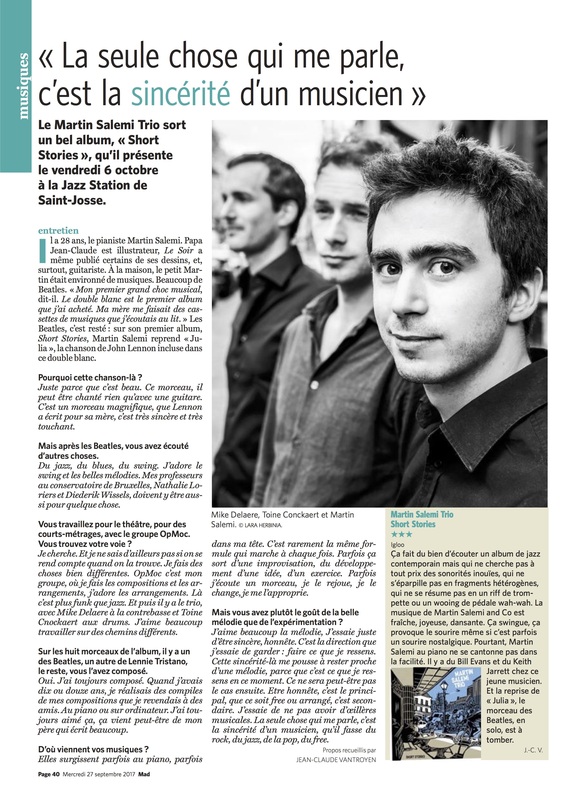 In 2018, Martin won the B-Jazz International Award with the Martin Salemi Trio. Here you can find my upcoming tour dates. Hope to see you there!